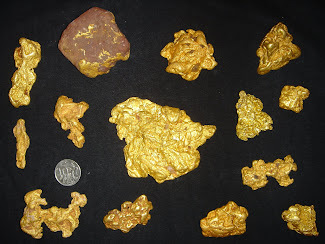 The Golden Truth: Is A "Commercial Signal Failure" Upside Explosion Coming In Gold? Is A "Commercial Signal Failure" Upside Explosion Coming In Gold? A commercial signal failure occurs in the commodities market when the amount of demand for physical delivery of a commodity - in this case gold - exceeds the ability to physically deliver the available supply by those obligated to deliver. 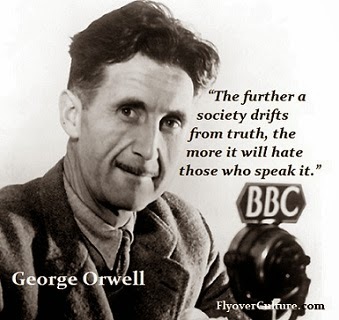 In this case that would be the parties who have sold short the Comex December gold futures contract (primarily Goldman Sachs, JP Morgan, HSBC and Deutsche Bank). 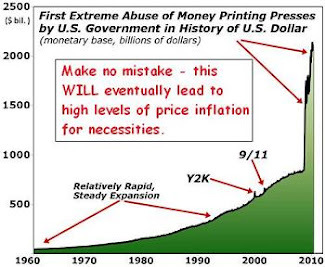 If this does indeed occur, the price of gold and silver will do a veritable moon-shot in price. The situation in December gold on the Comex could get quite interesting. As of today's trade date, there are 94,544 open December gold futures contracts. Anyone holding one of those contracts who does not or can not take delivery (1 contract = 100 ozs, or roughly $118,000) of Comex gold needs to have that postion sold by the end of trading Friday. 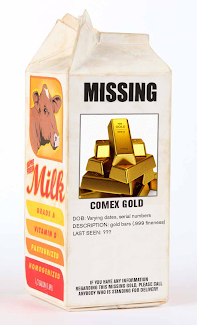 Tomorrow the Comex is closed and Friday will be a low volumn day. 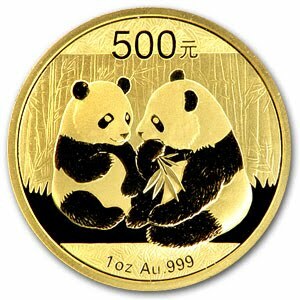 The reason for this is that Monday is what is known as "first notice day," which means that anyone long a gold contact (or silver) can be tagged with a delivery notice. Now, the amount of gold being reported by the Comex as "registered" (not that we trust that number) - which is the amount that is available for delivery - is a little over 2.1 million ozs. If o/i (open interest) on Monday is any where over 21,000 contracts (2.1 million ounces), December could be a very interesting month for gold. In other words, if the open interest at the close of trading Friday is greater than 21,000 contracts, the Comex has a delivery problem. The price will go parabolic. With the open interest at 94,000+ right now, and with Friday being a very low volumn day, we can expect that the number of contracts that potentially stand for delivery will far exceed the amount of gold available for delivery. Now, contracts can be tendered for cash instead of gold, and someone holding a contract can sell it after 1st notice day. But, anyone holding after Friday must have an account fully funded to accept delivery because, in theory, every single long position on Monday could be tagged with a delivery notice (this never happens but theoretically it is possible). We'll have to wait until Friday afternoon to know for sure, but I suspect the relentless move up in gold prices this week are sniffing out the possibility of a delivery issue as described above. Two more interesting items of note, and events which confirm the growing demand for physical delivery and possession of gold. 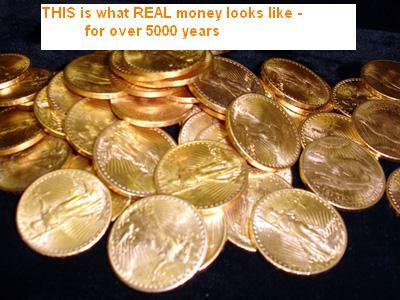 First, it was announced today that the Central Bank of Sri Lanka purchased another 10 tons of gold from the IMF. They said it was a move to diversify reserves, which means they are dumping U.S. dollars. Here's the link: Sri Lanka Buys More IMF Gold. And India has expressed an interest to buy the rest of the IMF gold for sale: India Interested In Rest Of The IMF Gold. 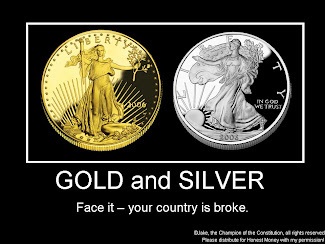 It should be clear to anyone paying attention to what is going on in the gold (and silver) market that there is an aggressive movement by central banks, investment funds and wealthy individuals to take physical custody of large quantities of gold. 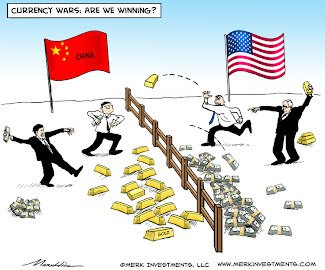 There is also a massive imbalance between the actual supply of physical gold available for delivery and the enormous amount of paper liabilities for gold. These liabilities include Comex futures, OTC derivatives, leased gold and, of course, the high likelihood that GLD is largely a massive gold leasing operation. The paper Ponzi scheme in gold is starting to unravel and this is being reflected by the price behavior in gold, despite tame inflation numbers coming out of the Government. Have a great Thanksgiving break - GOT GOLD? Let's see if the Giants are gonna have a CSF tomorrow, lol. Have a happy turkey day. Thanks for the great comment over at my site. Now this is futures and not COMEX, but it seems nobody wants futures contracts or that was my take. The Sri Lanka move was most intersting as they are not a huge country and have had serious issues in the recent past yet are buying gold. Plenty to watch. @gyc: well, "Marla's" commentary reflects her complete lack of understanding and knowledge about how futures work. To begin with, in 2008 gold was on a lot of folk's screen and there was delivery scare drama last December, except not even close to the magnitude of the situation this year. Second, January is not really a month anyone cares about. If you notice on the screen on her post, February had very significant volumn vs. December. February is the next "front month" contract with big deliveries. I don't why the convention works this way, but that's the way it is. January is a non-event anyway. We won't be able to back into how many Deece carts rolled over into Feb until we see o/i on Friday, but needless to say probably at least 20k did, given the drop in Deece o/i from yesterday to today. 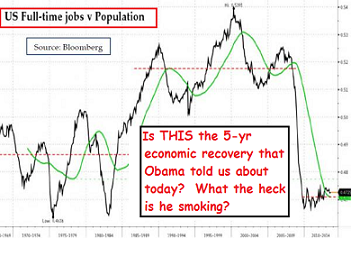 I mentioned to a colleague the other day that Zerohedge becomes more useless by the day and he agreed. @Rodd: LOL. Broncos will surprise big - at least they'll cover the 6 1/2 points...you have a great turkey day too. Go see "The Blind Side." It's awesome and if you don't get misty-eyed during the movie, you have ice running thru your veins. Fat Phillip Fulmer is awesome in his cameo, as is Nick Saban. Lou Holtz is a dork. Denver Dave = Pat Bowlen? that picture was pure mean, funny, but mean! Looks lik Dubai and Greece are gonna blow sky high. I need a drink, they always pull this crap on a US holiday! Whoa. Looks like the Dubai thing smoked Europe for 3-4% across the board. Oh man. We've been thinking something would come from left field to torpedo the markets. The Dubai thing took me by a bit of a surprise. 1070 or less looks ot be in play on the yellow dawg. Could you address http://www.cmegroup.com/tools-information/lookups/advisories/market-regulation/SER-4942.html and the apparent confusion surrounding the acceptance of ETFs in physical delivery and/or exchange for physical transactions?